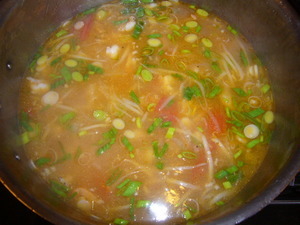 1/2 cup Bean Sprout . tamarind is soft. 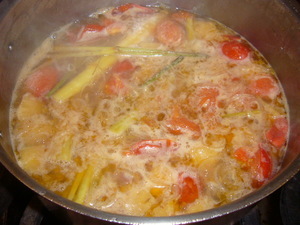 (Place the whole lump of tamarind and seed in the water and let soak till cool enough to handle. Work the pulp with your fingers to get it to dissolve into the water). 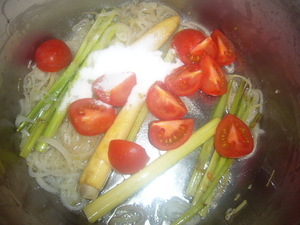 1 teaspoon of the fish sauce and pepper to taste. Let stand for 30 minutes. 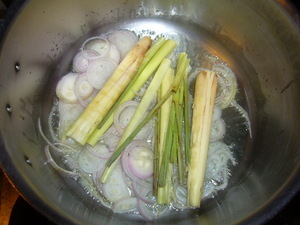 Add 5 cups of water and bring to a boil over high heat. 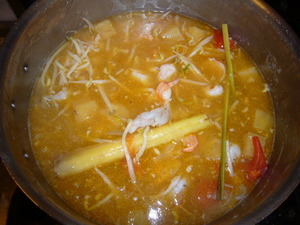 (I boiled the shrimp shells in about 6 cups of water and used that broth). 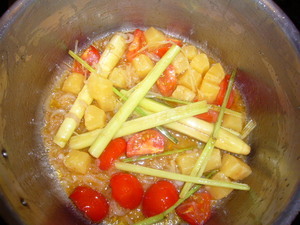 Stir in the tamarind liquid, salt and the remaining 1/4 cup fish sauce. 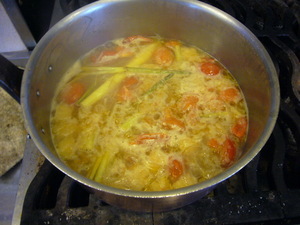 Reduce the heat to moderate and simmer the broth for 5 minutes. 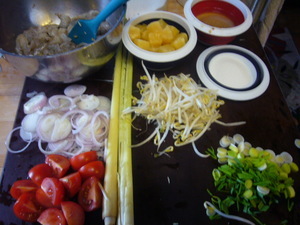 Stir in the shrimp, chiles and bean sprouts and cook for 30 seconds more. Ladle the soup into a heated tureen and serve at once. 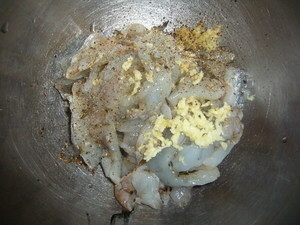 snapper or any other firm white-fleshed fish can replace the shrimp. 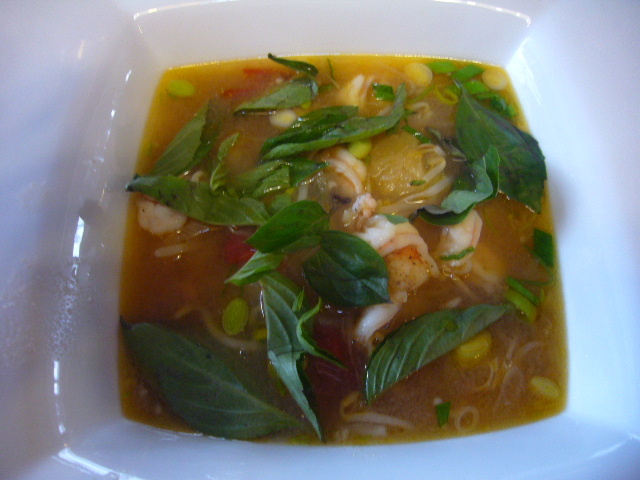 and still retain the essential character of the soup. 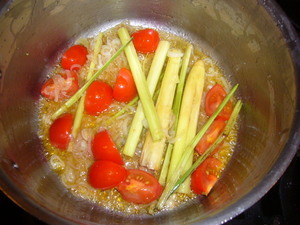 my own lemon grass--it's a really easy and pest free plant to grow. soil. Don't water the cutting too heavily until it starts to grow. without it, but it wouldn't be the same.